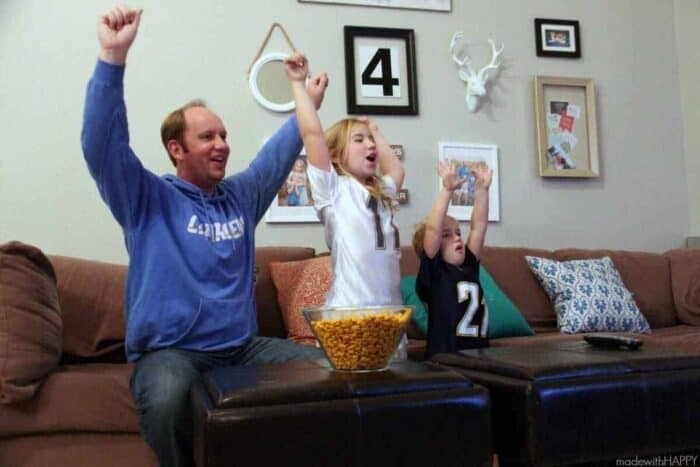 I don’t know about you, but we’re having a whole lot of football fun with our family lately. As the season is coming to an end, we’re having a great time sharing the love of the game and all the fun that comes with cheering on sports. I personally have some great memories growing up and watching football with my family and learning the rules and who to cheer for and when. It is great to see the same sort of love for a fun sport, whether college or NFL, being past on to the kids. 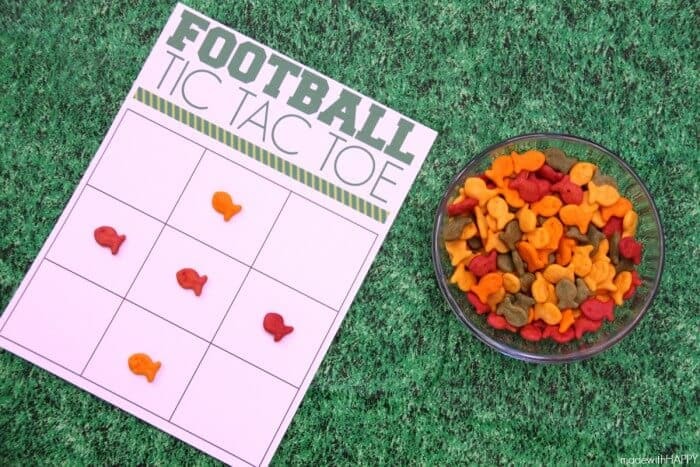 We love the idea of having some of the kids favorite snacks, like Goldfish crackers, there to add to the HAPPINESS of the game! You can download the printable versions of Football Bingo HERE for yourself. 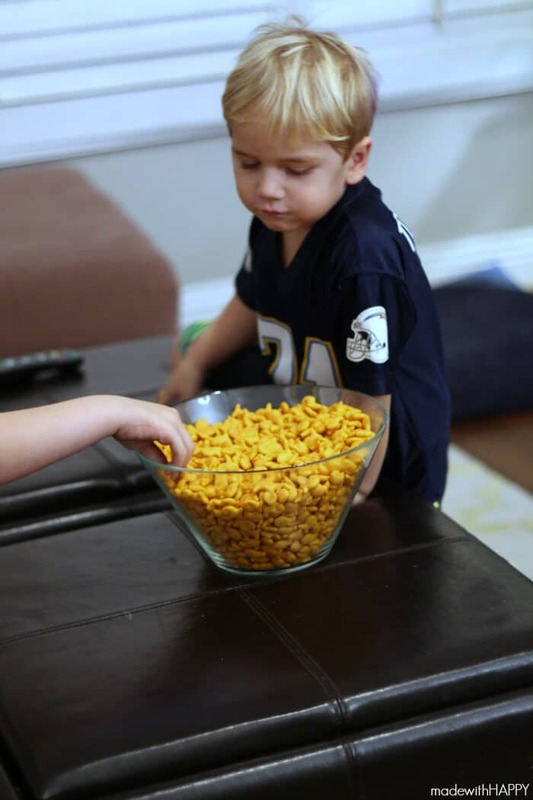 We love using Goldfish crackers for some extra fun as they can snack and play all at the same time! You can download the printable versions of Football TIC TAC TOE HERE. TIC-TAC-TOE is definitely a kid favorite and so having these sitting near by gives them enough fun for a commercial break. 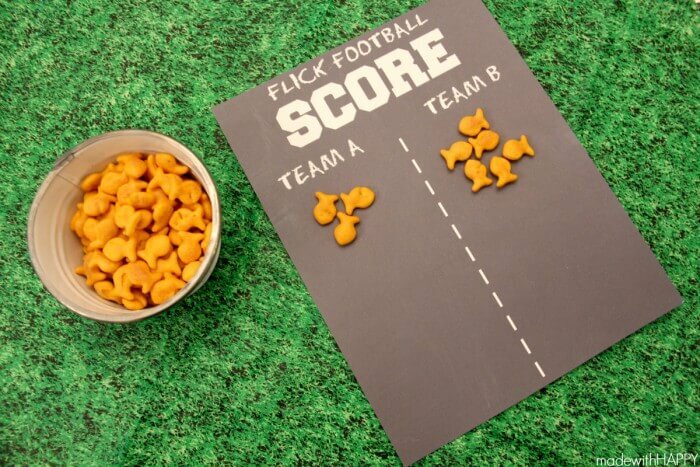 To download the fun Flick Football Scoreboard, click HERE! We’re sharing the full how to make a paper football and straw goal post HERE. This one is the biggest hit in our house all times of the year, but especially during football season. 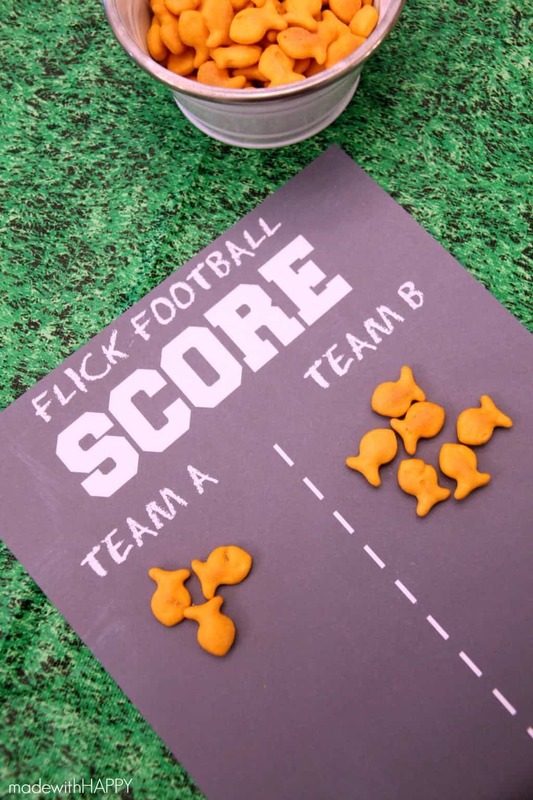 There are lots of fun to be had with just a few printable games and your favorite halftime snack! Did you know Goldfish snacks has a #GoldfishTalesPromotion going on? 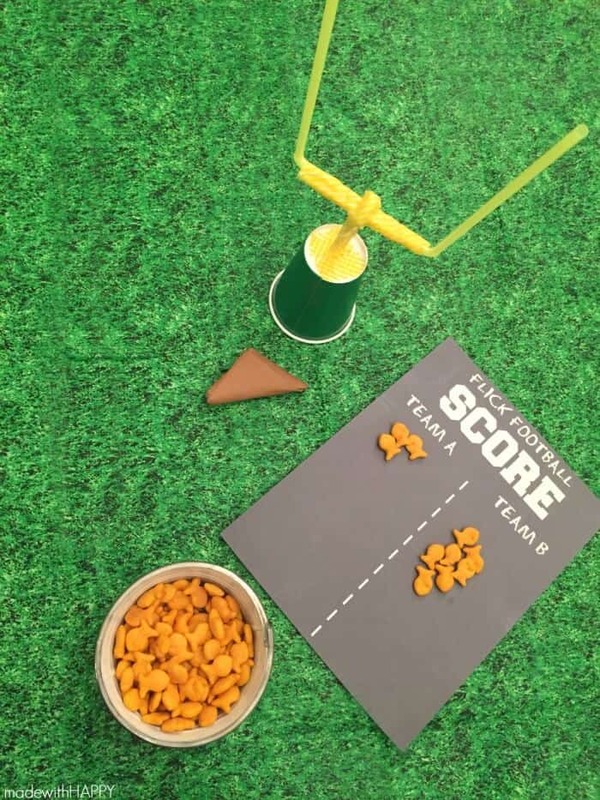 Now through 1/31 you can create a photo or video that shows off Goldfish crackers in a Big Game theme via Twitter or Instagram with the hashtag #GoldfishTalesPromotion to enter. Posts using #GoldfishTalesPromotion may appear in the gallery on GoldfishSmiles.com. No Purchase Necessary. 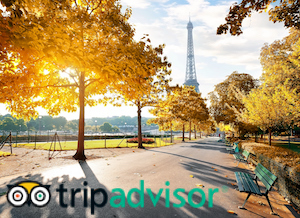 Open only to 50 US/DC residents 18+. Ends 1/31/16. Official rules and more at www.GoldfishSmiles.com. Void where prohibited. I love the bingo printable! I bet my littles would love to play this when we’re watching football together! Oh these are such fun ideas for game day! And I love using goldfish for it! What a fun activity to keep the young ones occupied during the Super Bowl. We love watching football together as a family. My daughter would love the Bingo game and score card! Thanks so much! Definitely helps to keep them occupied that is for sure! So fun to have everyone involved!! My kids would like that bingo printable. goldfish are their #1 snack. 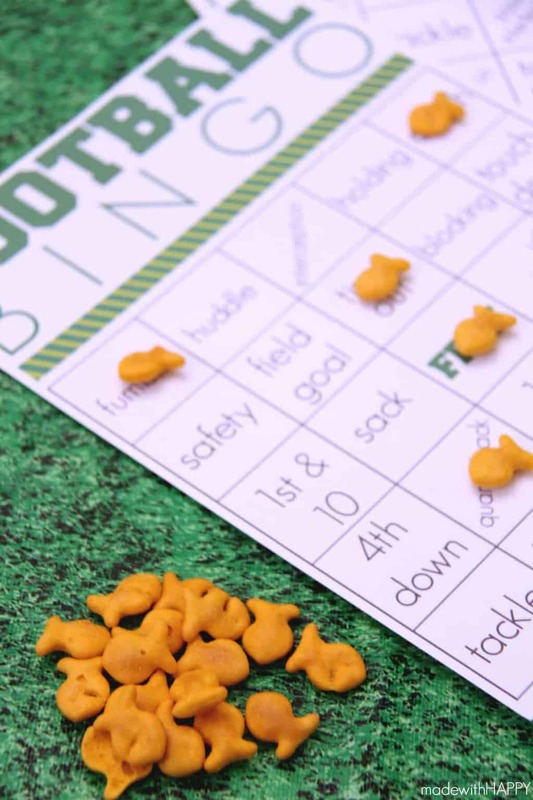 we’ve made a checker board in the past and played w/ goldfish, but they just learned bingo in school, so that would be perfect. How fun. 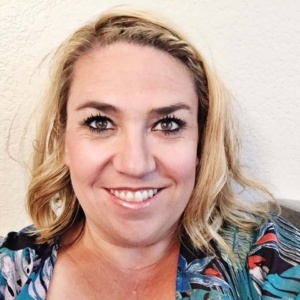 My kids were just learning about Bingo too, so I know they will have so much fun! Love these game ideas- they would definitely be a hit at our house! Thank you! If your kids are anything like mine, they will be a total hit! 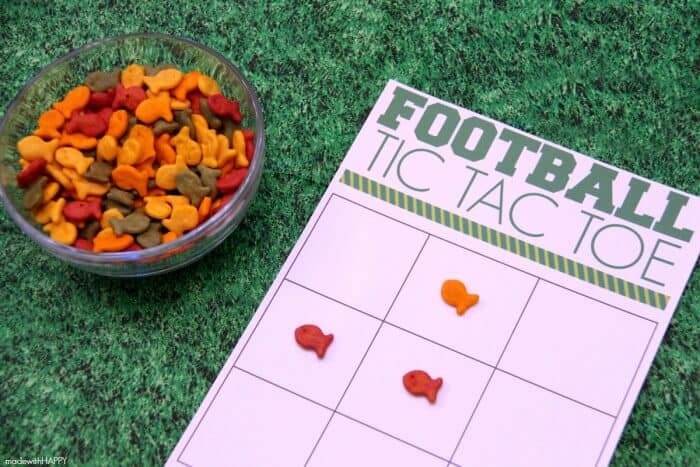 What a fun way to use those deliciousGoldfish Crackers! My girl and I we love them and these game ideas are such a fun way to have them in family all together!!! Love the bingo printables! Thanks! Looks so fun! My mom would always have the big box of goldfish from Costco stocked at the house. Awww your photos made me smile! 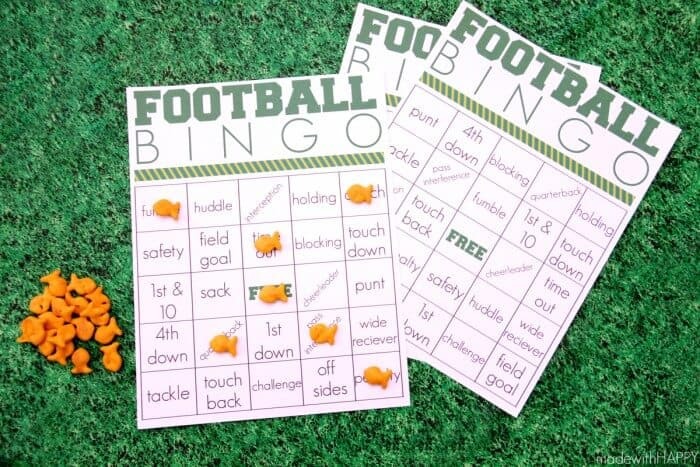 I think our family would really enjoy your Football Bingo game, too! Thanks for the printable, hun!